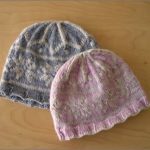 Easy to make, lovely to wear kids hats. 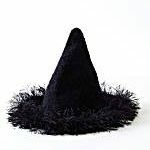 This hat will sure bring on a mood of frivolous vacation. 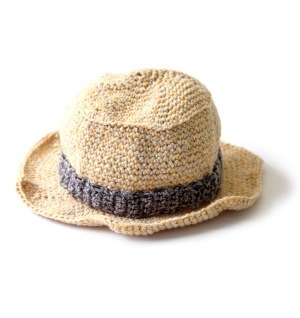 You can crochet this hat in less than a day and it will make a great gift to your son for protection from the sun. It’s also a craft kids can do. 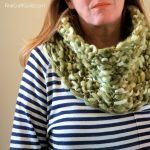 The pattern is easy to follow and there are only simple crochet stitches. This kids hat pattern suggests Lion Brand Recycled Cotton . You might consider alternatives. Gauge worked well with worsted medium-weight yarn. Lion Brand Recycled Cotton Yarn (125) Pebble Beach . You will need one skein of each color. Please sign up for our daily newsletter. (Click that grey box on the top right of this page “Receive free newsletters….”). Click the link in the confirmation email you’ll receive upon registration. 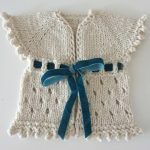 Then* you will AUTOMATICALLY receive an email with many links to lots of patterns and designs we feature here at FineCraftGuild.com. Tip: Check your inbox as well as your junk mail box or promotion box or whatever automated responders are called in your email program. Do that BEFORE emailing me! Thank you. Tips: Look for the confirmation email in both your inbox and junk mail folder. It’s best to subscribe at home where there’s no corporate firewall which may ‘eat up’ some of your email. * Allow 1 min to 1 hr if mail servers en route are slow. I really like the look of this project and my kids urgently need hats in this hot weather and almost nothing seems to fit/stay on/be acceptable to them. Maybe something mummy made would work…? I am already signed up to the newsletter so I am not sure how to request the free pattern. I don’t think I’ve had one before but I have enjoyed reading all the newsletter articles! I’m already signed up. Where do I get the kids hat pattern? I’m signed up to get your news letter…but I can’t seem to get this pattern. Help? Hi Kelsey. Thanks for signing up. Yes, I sent it out to you. Thank you for commenting. Glad you like the hat so much. Just sign up for the newsletter and it will automoatically be sent to you when you click the link in the confirmation email.